Discipleship is the core mission of the church. In the modern church many reduce discipleship to one of its components (evangelism, spiritual disciplines, Christian education, LifeGroups, etc.). However, discipleship is actually a lifelong process of coming to know Jesus, becoming more like him, and making him known (Love God, Love People, Pass it on). Typically one of the first steps in making disciples is baptizing them, but as discipleship is so often overlooked in the church–or reduced to only one of its components–this step is often reduced to a formula, associated with membership, or ignored all together. It is our conviction that baptism is the believers’ opportunity to make a public statement of confidence in Jesus’ forgiveness of their sins and to affirm the need to die-to-self and live for Christ. 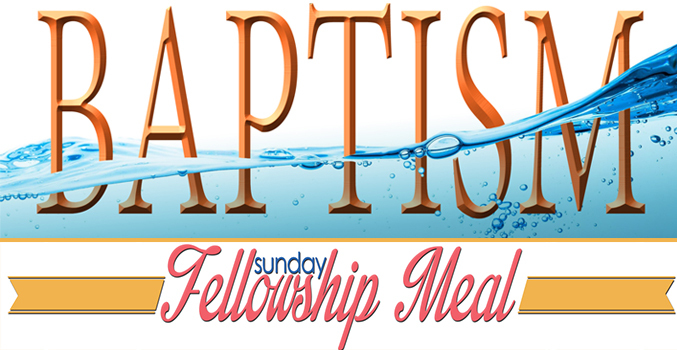 Also, if you are not planning on being baptized, let me invite you to stay and witness the ceremony, pray for those being baptized, and then enjoy the fellowship meal afterwards. Please bring a side dish to share – we’ve got the main dish covered. Are you ready to be baptized? Yes? Fantastic – let’s talk about it. Hal’s extension and email are in the contact info above – give him a call or tap out an email to let him know or register now here to be added to the January 13th Baptisms.